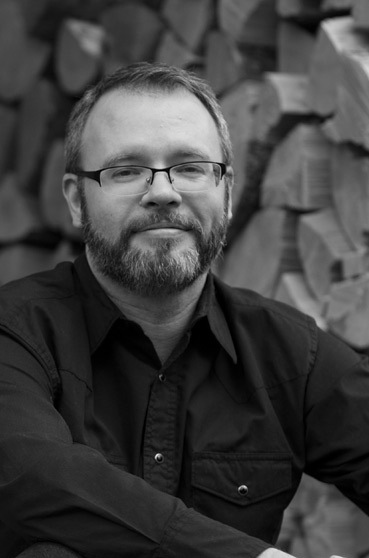 Eric Scott Fischl joins BookBites today fresh off his debut week from Angry Robot! I live in the mountains of western Montana, where my latest book, The Trials of Solomon Parker is set. A lot of people hunt and fish here; the outdoor lifestyle is of one of those Montana Things. While I personally am not a hunter, I’m an omnivore and a food nerd. Red meat doesn’t make up a lot of my diet but, if given the opportunity, I’ll choose ethically-hunted game meat over just about any beef available at the grocery or butcher. When I lived in more urban places, game was harder to come by but, here, some savvy bartering with my friends (books, anyone?) keeps a variety of meat in the freezer. Which brings me to elk tongue. Let’s be honest in that tongue is not the first meat people think of when choosing a cut for a meal, here in America, anyway. Tongue has an unwholesome association for a lot of people, or is considered scrap meat only fit for those who can’t afford better. That can’t be further from the truth, though: tongue, when prepared correctly, is absolutely delicious. It’s rich and tender, with the flavor a good steak. Go to your local taqueria and order a lengua taco and you’ll see that I’m right. Go on, I dare you. The recipe below is based on that traditional Mexican delight, which is made from beef tongue; I’m using elk here, but deer, antelope, moose, or similar would also work (with smaller animals like deer and antelope, the main issue isn’t flavor, but size, i.e. having enough meat to make the labor worthwhile). One of many things I like about this recipe: because of unfamiliarity with tongue as a viable cut of meat, many hunters (the fools!) are happy to give it away. So, if you have a hunting friend willing to part with a tongue, be sure to ask them to cut it from the animal as far back as they can get. The bulk of the meat, and the best part, is at the back. I’m going to be frank here: the tongue is going to look pretty disgusting during the cooking process, but don’t let that deter you. The end product is well worth it. Plus, while it’s roasting, your kitchen is going to smell amazing. If you don’t have access to game meat, by all means give this a try with beef tongue. Both the lengua recipe below and the habañero salsa that follows are inspired by my friends at Portland’s Taqueria Nueve and are used with their permission. Check them out next time you’re in Oregon. Try the lengua. An elk (or similar) tongue! 1. Place yellow onion, carrot, bay leaf, oregano, peppercorns, dried chilis, and garlic cloves in a 9X9-ish roasting pan. Steel yourself, and get out that gnarly-looking tongue. Put the tongue in the pan and add enough water to fill to about half an inch. Cover with foil, poke a couple holes in the top of it, and cook on the oven’s middle rack at 325 degrees for 4-5 hours, until well roasted. Enjoy the delicious aroma permeating your kitchen. Maybe have a cocktail and read a book. 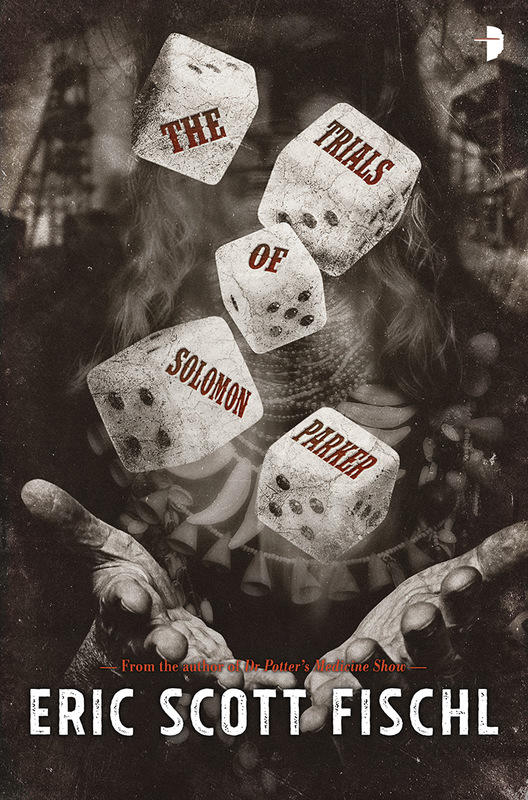 Note: The Trials of Solomon Parker pairs well with tongue-roasting. 2. Remove tongue and let cool. Put it in the fridge and chill it slightly, which will facilitate the next step. To wit: there is a rough membrane on the top of the tongue (comprised of the tastebuds, etc) … using your fingers and a sharp knife (if necessary), peel off this membrane and discard. Take care to leave the fatty part at the back of the tongue intact. 3. Cut the tongue crosswise into slabs about ½ inch thick. In a skillet, bring vegetable oil to shimmering on medium-high heat and fry slabs until crispy, flipping over once. Try not to stir the meat to really get a nice sear on it. Once crispy, remove from pan and roughly chop. Salt to taste. 4. Serve on warm tortillas, topped with cilantro, onion, a squidge of lime if desired, and the hot sauce of your choice. Get that tongue in your mouth and enjoy! Grill or roast the tomatoes. Sauté habañeros and garlic in a little oil until browned. NOTE: open your windows first or, better yet, do this step outside on the BBQ, in a grill-proof pan. If you don’t, you will fill your house with homemade, artisanal tear-gas. Yes, I’ve done this, and it’s a terrible experience. In a medium saucepan, bring OJ, vinegar, allspice, peppercorns, and mango to a boil. Remove from heat and let sit for a couple of hours. Put all of the above in a blender and blend until smooth. Salt to taste and enjoy atop darn near anything. Eric Scott Fischl spends most of his time reading books, writing books, cooking, playing with dogs, and stomping around the mountains of Montana. Hit him up on Twitter at @Eric_Fischl, where he is a prolific swearer. He is not, nor has he ever been, a famous painter. YUM! I love tongue. My grandma used to make it for holidays.